ATA 2017 is approaching fast. It's the perfect opportunity for healthcare professionals to learn from leading healthcare providers, hospitals, technology companies and thought leaders in the industry. This event provides a hands-on learning experience for professionals to understand how telehealth plays a key role in advancing medicine, overall wellness and the healthcare industry as a whole. Download the app - Take advantage of the paperless agenda and discover innovative ways to interact with other professionals. Prioritize vendors you want to see - Assess your agenda and exhibit hall before you get started. Don't wait until the last minute to visit target companies! Network, network, network! 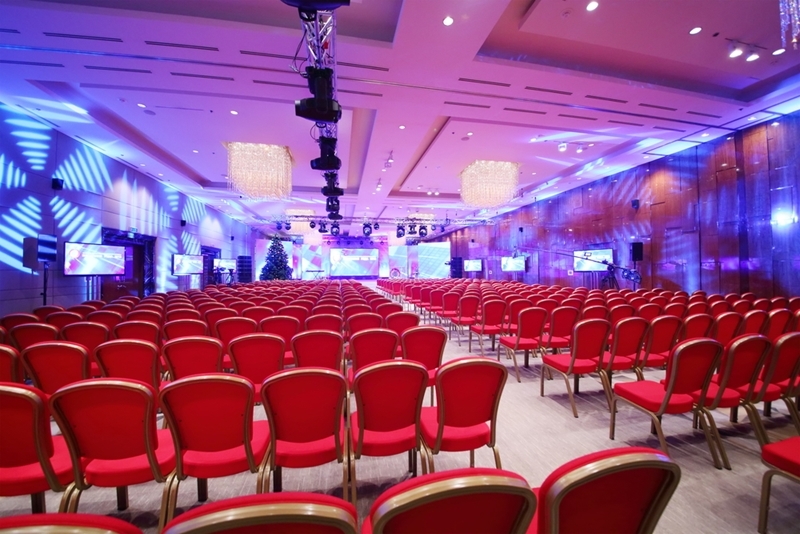 - ATA will have various events that allow you to network during your time at the conference. Take advantage of the First Time Attendee's Breakfast, Opening Reception, the ATA Monday Night Social Event and the ATA Closing Event. An enhanced Utilization Reporting system. A universal mechanism for receiving and integrating telemedicine data with EMR systems. Witness a demonstration of the new version of AGNES Interactive, when you attend one of our in-booth presentations on Sunday at 12:45 p.m. or Monday at 4:00 p.m. If you're a new customer and attend one of our in-booth presentations, you'll receive 50 percent off our AGNES Interactive software. Additionally, you'll be placed into a drawing for a chance to win a Fujitsu tablet or one of three Echo Dots. ATA is the perfect opportunity to learn about what to expect in the future of healthcare. A reduction in hospital readmissions. An elimination of non-critical patient transports. An increase in access to specialty care. An ability to provide night coverage options. Our fully integrated telemedicine wall mount system, PAT, was created to reduce the footprint in the exam room and improve workflow, simultaneously. This is the industry's first system that allows you to keep medical devices connected through uninterrupted use. ExamFlow software was designed to eliminate patient wait times and reduce delays that interrupt a steady workflow. By attending our 9:45 a.m. presentation on Monday morning, you can see a demonstration. Don't forget: ATA 2017 is April 23-25. 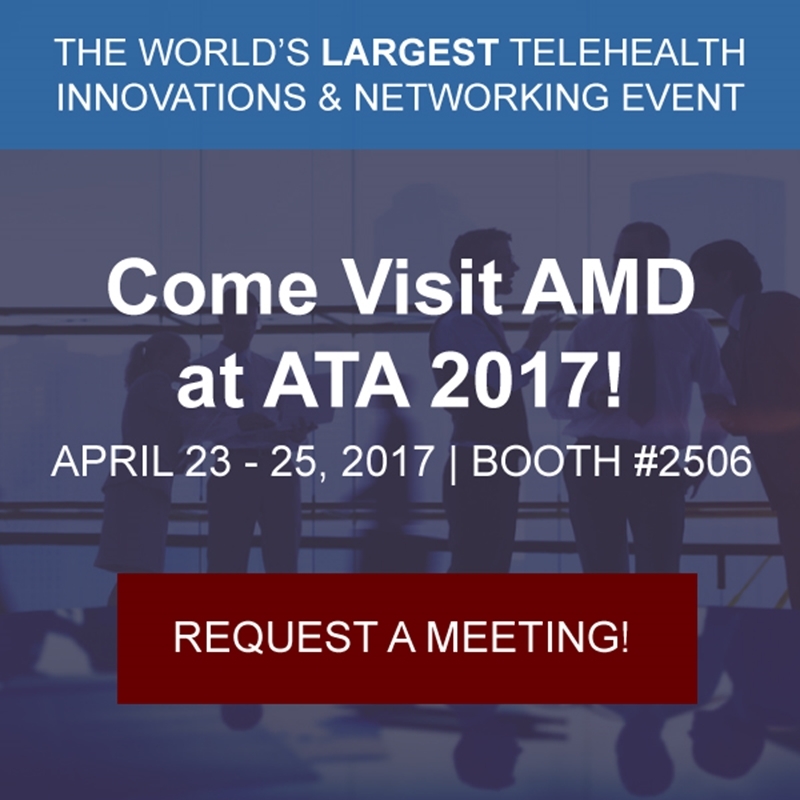 You can find AMD Global Telemedicine at Booth #2506. Can telemedicine change the reputation of the waiting room?